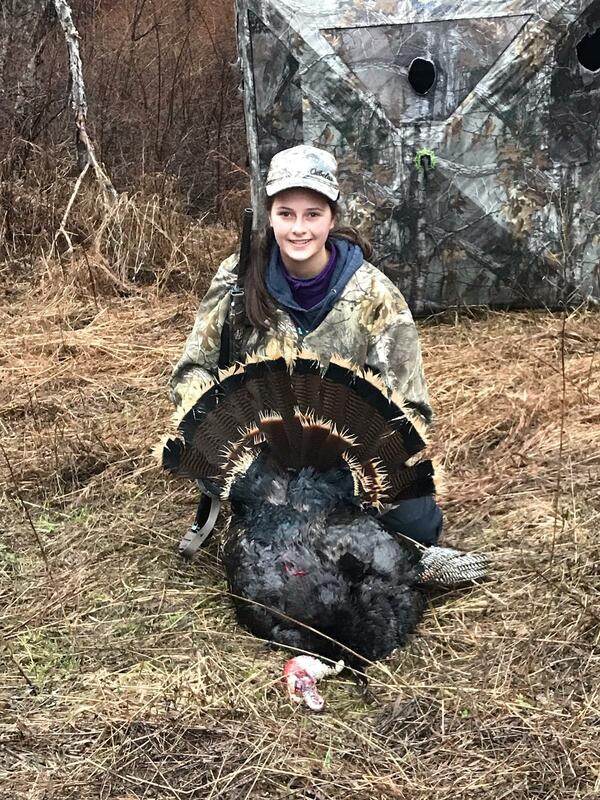 Crouched in a hunting blind with her father, the 15-year-old had just passed up a shot at a male turkey last Sunday during Washington youth turkey hunting season. “As soon as he passes, I’m instantly regretting it,” she said. The duo had been in the blind at the bottom of a hill for about 30 minutes near Loon Lake. Little knew she might not get another chance. The father-daughter duo has been hunting together for as long as Little can remember. When she was too young to hunt, she’d accompany her dad, Rich Little. She got her first turkey when she was 10. But this year’s hunt had particular significance. It was Sophie’s final youth hunt. The two continued to wait last Sunday, hoping another bird would appear. And it did. A tom came up and over the hill and bolted toward them as if he was “going to fight our decoy,” Sophie said. But the bird went a little to the right of Sophie and suddenly was no longer in her sight line. Instead, she could see it through the mesh of their blind. When the bird was about 5 yards from them, she shot through the blind. “It was perfect shot,” she said. And a near perfect bird. The tom had a 9-inch beard and a fan to match. Published: April 13, 2019, 6 p.m.